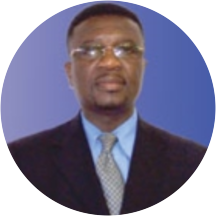 Dr. Vava Y. Nyanudor graduated from the Instituto Superior De Cien Med De La Habana, Cuba in 1990. Dr. Nyanudor later completesd his residency in Family medicine at John H. Stroger, Jr. Hospital of Cook County. Dr. Nyanudor is currently practicing in Naples, FL and specializes in Family Medicine. He has been in practice for over 25 years. Dr. Nyanudor is affiliated with NCH Downtown Naples Hospital and Physicians Regional Health System Collier Boulevard. Great doctor, takes the time to explain what's going on with you and makes sure you understand the treatment. Very happy with my experience. I had a very good visit with the doctor. Very knowledgeable about my health issues and easy to talk to and work with. Highly recommend. Caring and thorough. Spent all the time required to address concerns and remedies. Great guy, highly recommend. Great office staff and Dr. I have relocated to Naples. I went on line to find a doctor close to me within a 25 mile radius. I told Dr. VaVa, about this he was surprised to see himself on line. I had told Dr.VaVa that Iwas new to the area, and was just checking out to see if I liked him, and I did. Dr.VaVa is a very kind and gentle Dr. I would recommend him to everyone. Iam so glad I found him. It was ok. With each patient it's different depending on your case. Since I was a nervous reck before my visit that can bring my overall view differently from someone else. So by far since this was my first time I would say it was simply ok. Very professional but prepared to listen. I would recommend Vava Nyanudor, MD to anyone, he takes the time to listen to you, It was like sitting there talking to a good friend. He made me feel comfortable and noted my medical conditions and problems, he explained whathis plan of action was going to be and wants to see me in two weeks. Very nice office staff. I arrived at my appointment 10mins early for a physical. Had my paper work filled out online. I was given more paper work to fill out at the office. 2 hours later I was finally called in to see the docafter 15 mins with him the consultation was done they literally rushed me out of the office. Waste of time. Too many patients for one doc. This is just a summary of the inconvenience they caused me! Beside being part of me,he is simple and down to earth.The visit were a friendly one. The doctor was very kind, professional and knowledgeable. The office was friendly and efficient. It was an enjoyable visit. Very receptive doctor prepared to tackle unusual problems showing a high level of interest in your issues. Very straight forward, and precise diagnostic that accurately solved the health problem that brought me to the doctor's office.